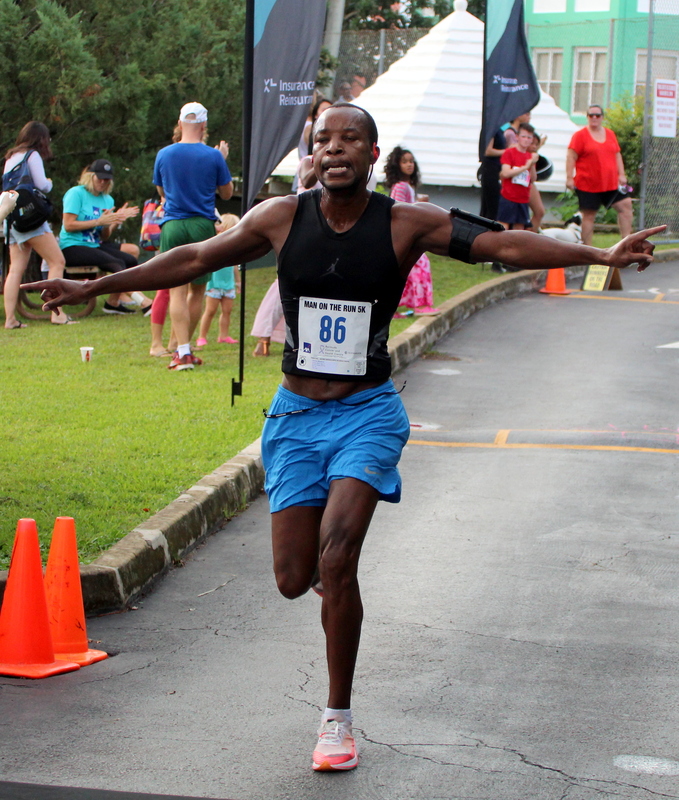 Dennis Mbelenzi ran to victory in the 2018 AXA Man on the Run that started and finished at the Warwick Academy Grounds. Mbelenzi clocked a time of 17:21, with Teddy Shum finishing second in 17:50 and Tommy Marshall finished third in 18:11. Finishing fourth was Neil De Ste Croix who was clocked at 18:19, Colin Long was fifth with a time of 18:23. Dominique Mayho crossed the line 6th stopping the clock in 18:42, Daniel Maguire the seventh runner to cross the line with a time of 18:46.